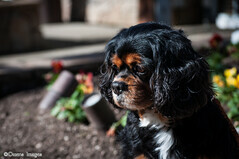 5360_Jake, a photo by carolOnline on Flickr. We love to be outside. Miss the old neighborhood, our park, all our friends but have found beauty here as well.